PHOENIX (AP) — Catcher J.T. Realmuto went to salary arbitration with Miami on Wednesday and asked that he be given a raise to $3.5 million instead of $2.9 million. Arbitrators Andrew Strongin, Elizabeth Neumeier, Allen Ponak are expected to decide Friday. Realmuto made $562,500 last year and hit .278 with 17 homers and 65 RBIs in his third full season. Miami has traded major league home run champion Giancarlo Stanton, Marcell Ozuna, Dee Gordon and Christian Yelich for prospects since Derek Jeter’s ownership group bought the team in October. 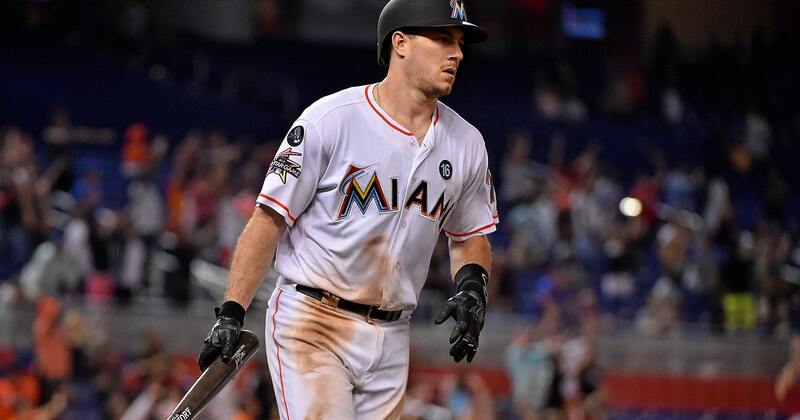 First baseman Justin Bour and and reliever Dan Straily, who are likely to remain with the Marlins, also are scheduled for hearings this month. Bour has asked for a raise from $552,500 to $3.4 million and has been offered $3 million. Straily has requested a raise from $552,100 to $3.55 million and has been offered $3,375,000.